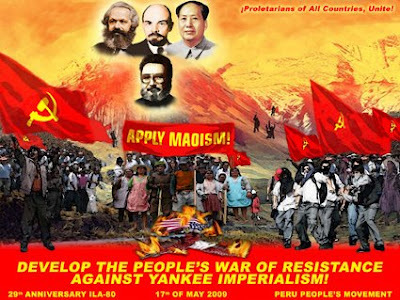 Peru's Maoist rebels refuse to die-and still turn out some of the world's best political posters. After going into decline in the early 1990s and stagnating for a decade Peru's "Shining Path" Maoist guerillas have begun a very slow comeback. 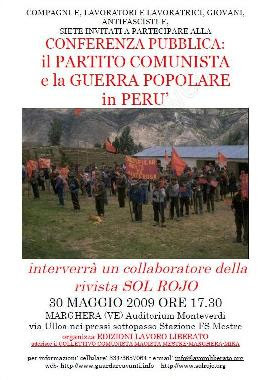 International solidarity events such as the one above are still held regularly in Europe.